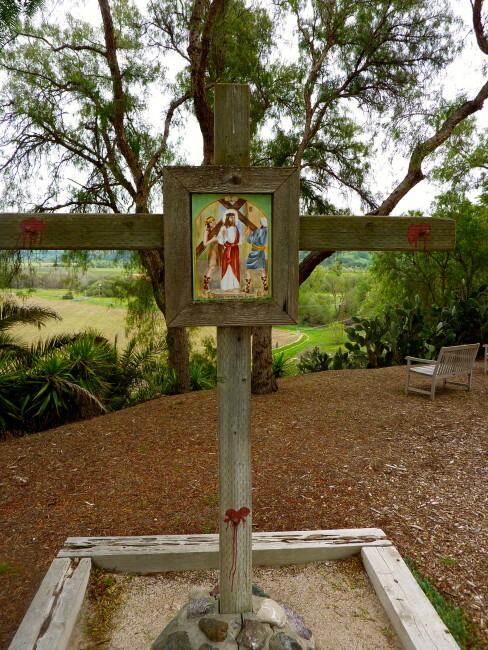 After visiting Mission San Luis Obispo de Tolusa, I headed south on the 101 until I saw the sign for Old Mission Santa Inés. 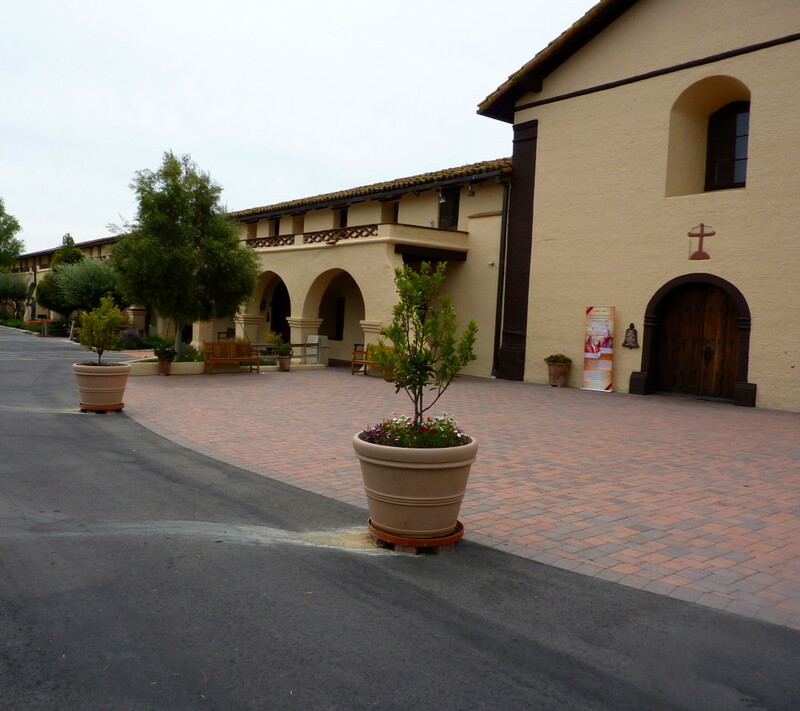 To get to Old Mission Santa Inés (located four miles to the east of the 101), I first had to navigate the traffic in Solvang, an incredibly touristy little Danish community. A few moments later, I turned into the driveway of the mission, away from the smell of ebleskivers (addictive Danish pancakes). The first thing I noticed was the view from the mission parking lot of the Santa Ynez River Valley plus the Santa Ynez and San Rafael mountain ranges. 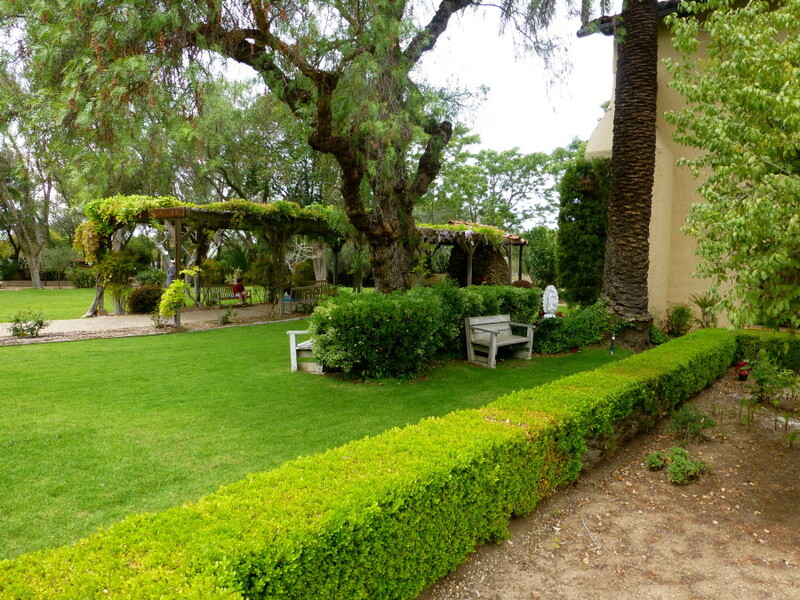 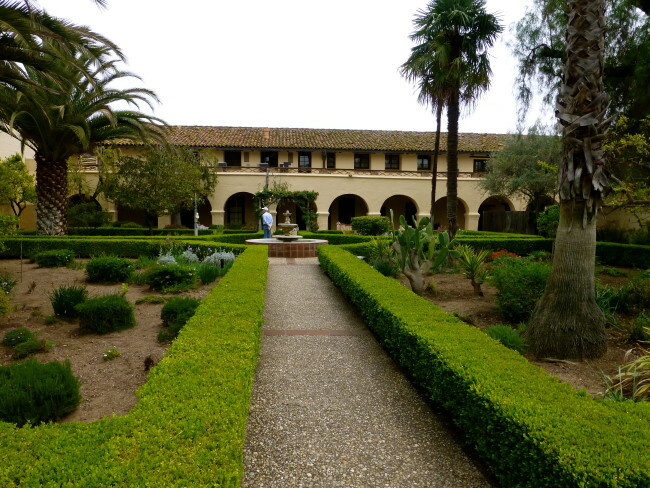 Founded in 1804, the mission is named after Saint Agnes, a 4th-century Christian martyr. 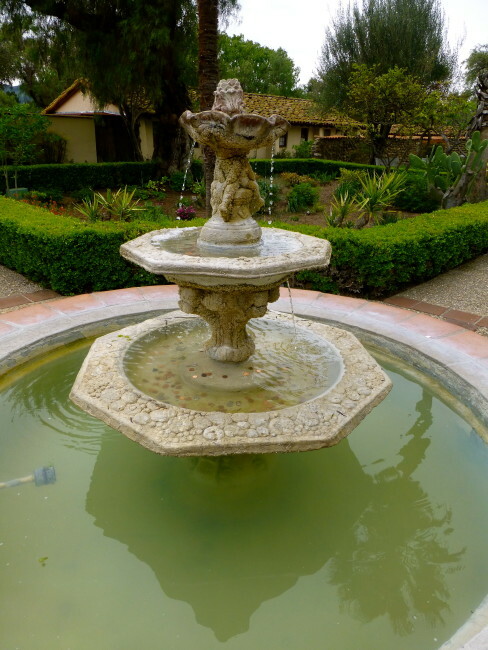 Spanish for Agnes is Inés, and then to Anglicize the area (and confuse visitors from other countries), the town and valley was changed to Santa Ynez. 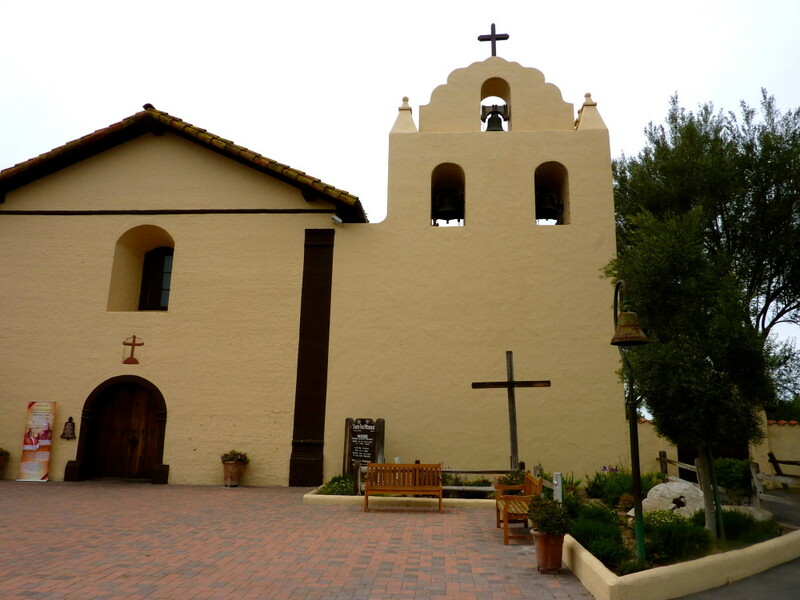 Old Mission Santa Inés is the 19th mission to be constructed in California. 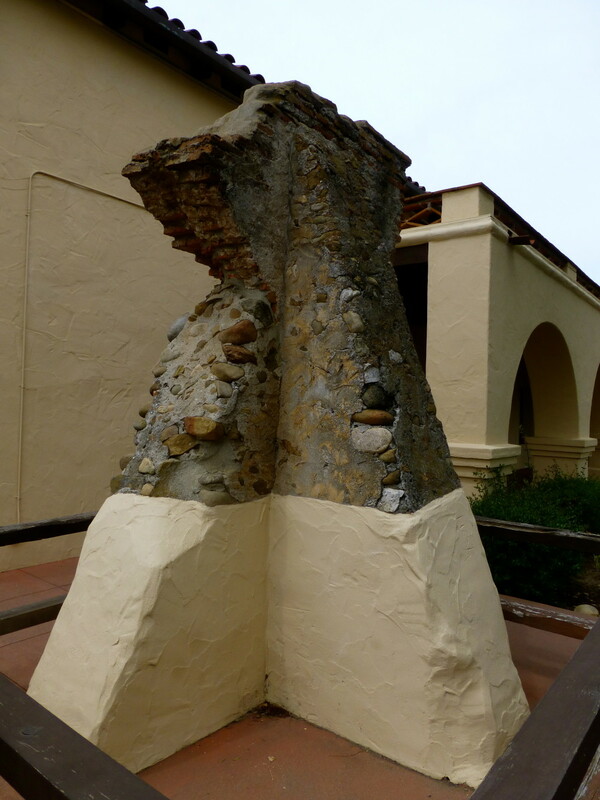 Just like virtually every other mission, earthquakes, fires and Native American revolts left its mark on Old Mission Santa Inés. 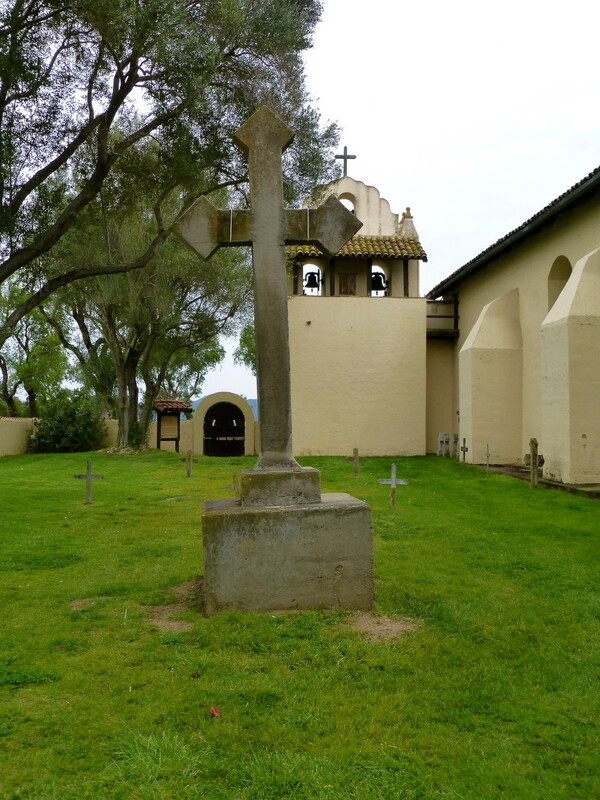 The 1824 Indian revolt was not against the missionaries, but in retaliation against a Mexican soldier. 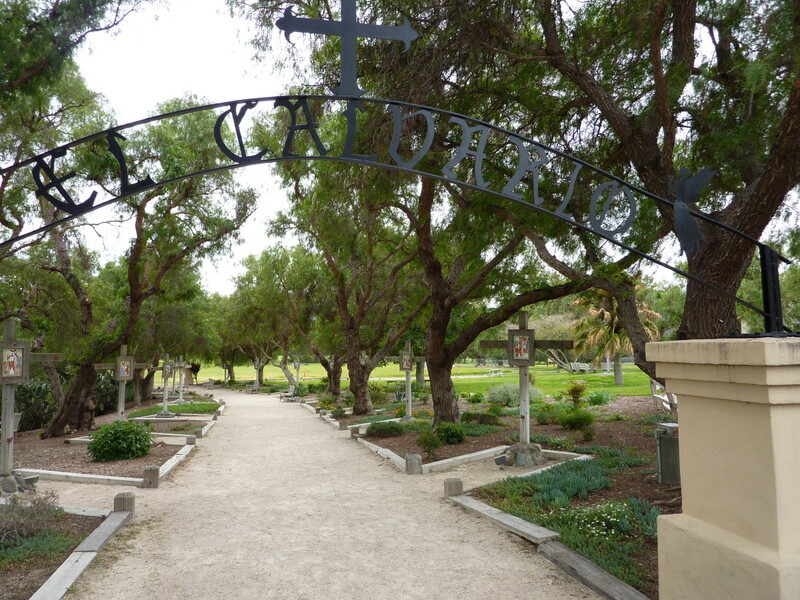 The whipping of a neophyte by a corporal named Cota at Old Mission Santa Inés sparked an uprising that affected three missions and took several months to suppress. The Chumash burned the soldiers quarters, and the soldiers burned down Chumash houses…a fire that quickly spread to the church. 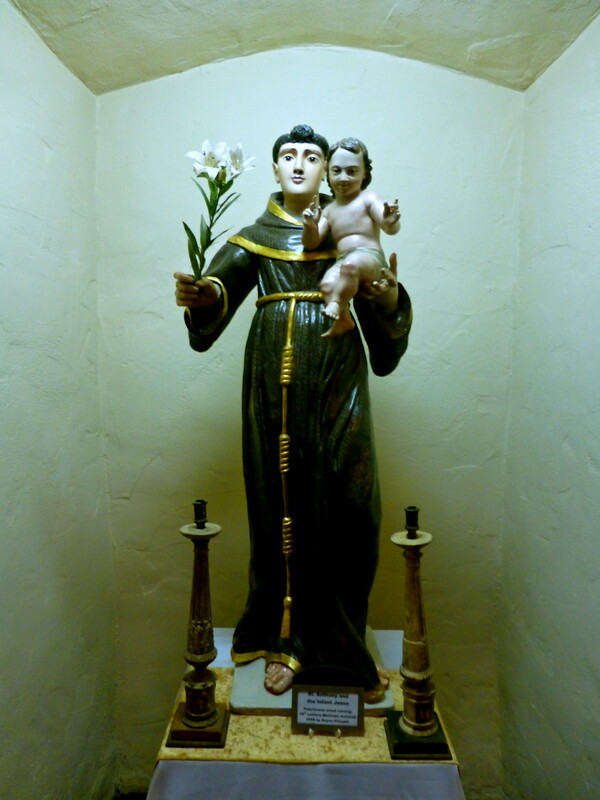 As soon as the Chumash realized the church was on fire, they began to try and put out the fire. Despite their efforts, the mission experienced extensive destruction at that time. Old Mission Santa Inés and other missions were put under the jurisdiction of Pio Pico, the last governor of Alta California under Mexican rule. 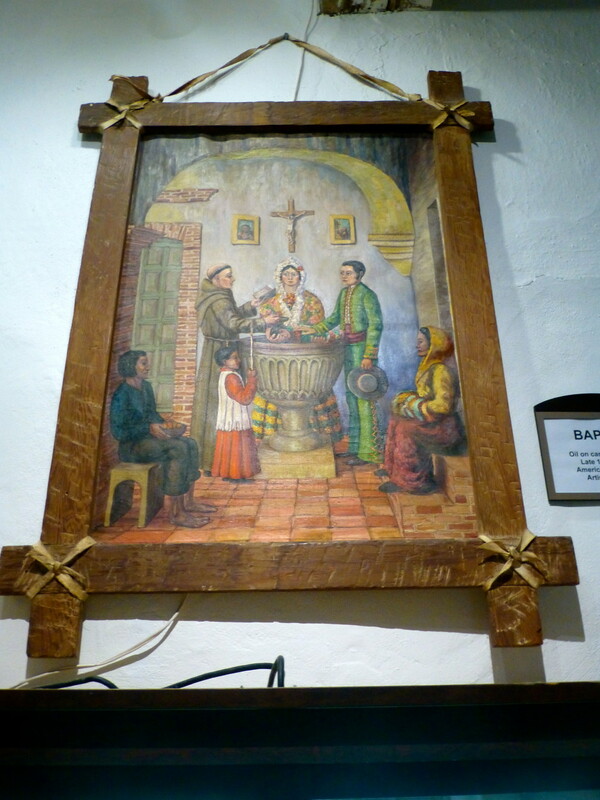 Abraham Lincoln signed a decree on May 24, 1862, that formally returned the missions to the Catholic Church. 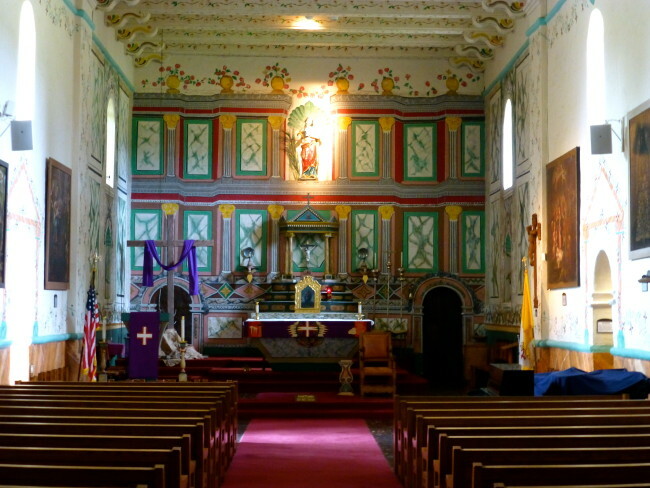 Restoration started taking place in the early 1900s. 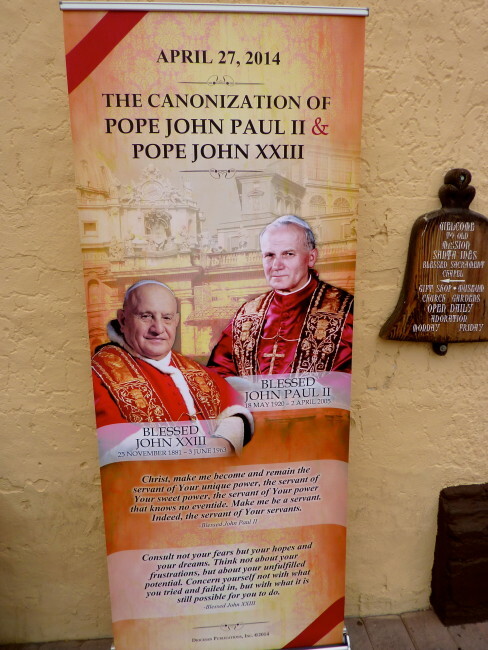 Outside the mission was a banner touting the canonization of two popes later in the month…John XXIII and John Paul II. 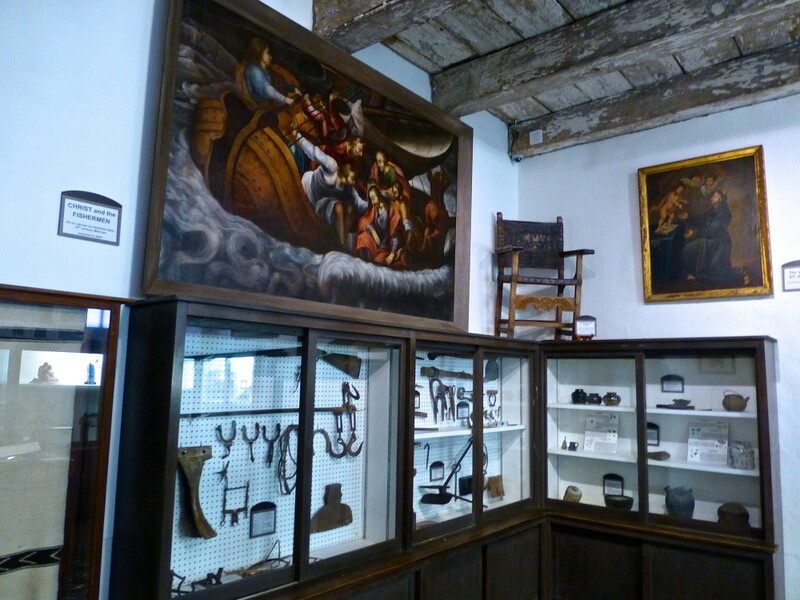 Admission price (paid in the gift shop) is $5, and the first stop on the self-guided tour (takes about 30 minutes to an hour, depending on your interest) is the museum. 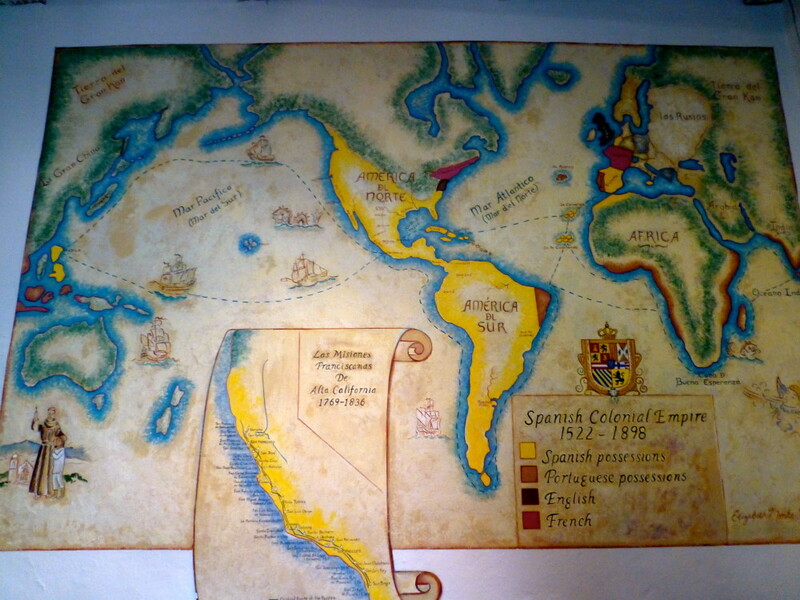 A colorful, old Spanish map caught my eye in a room that also contained models of the mission. 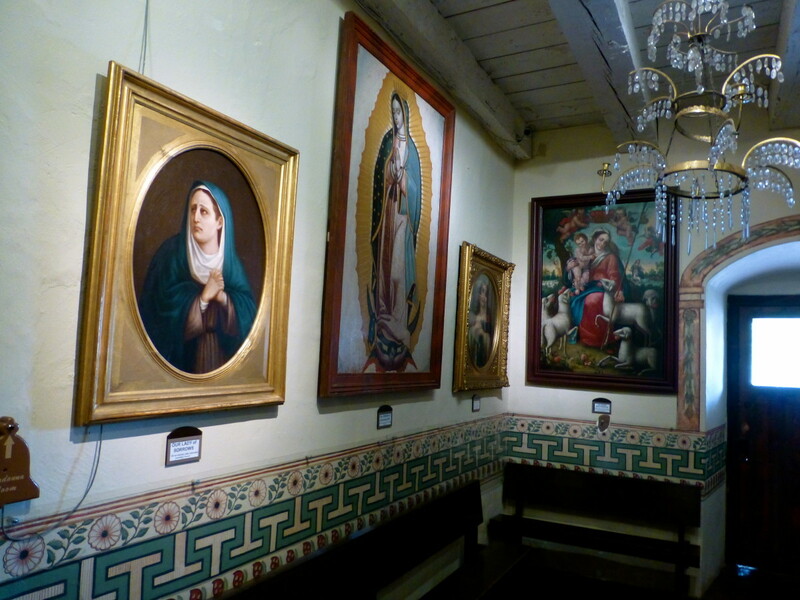 There was also a painting called Christ the Fisherman, an 18th century Mexican painting that was restored in 2003. There is also a rather extensive vestment collection where various vestments are on display and replaced periodically. 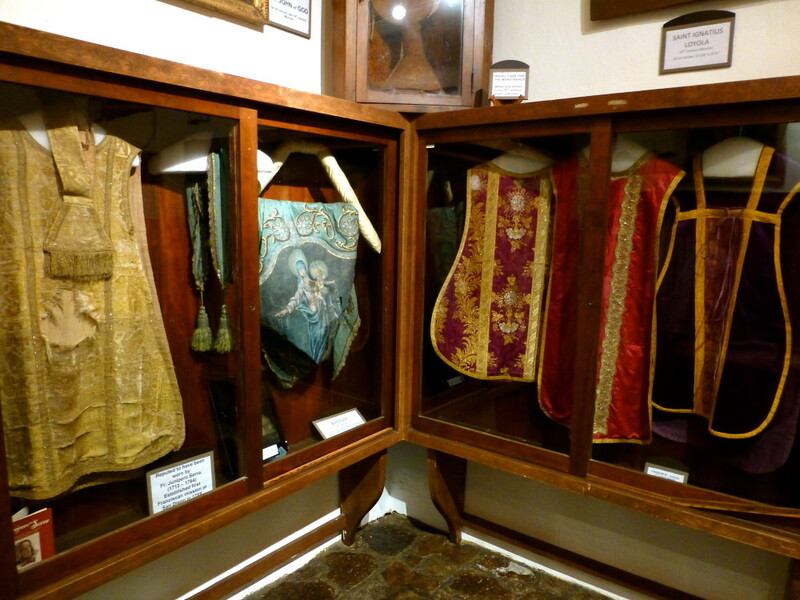 After viewing these and other artifacts, I stepped into the Madonna Chapel, but refrained from singing Material Girl. Like A Virgin was definitely out of the question. 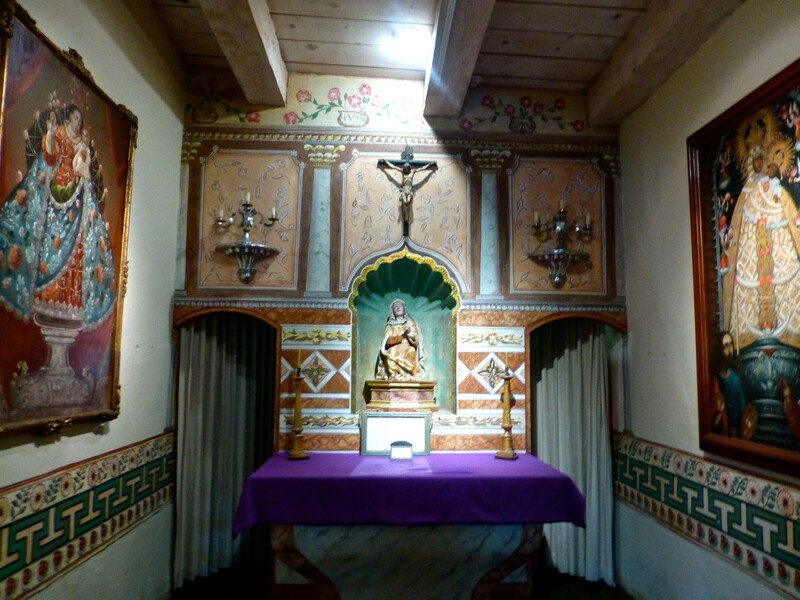 The Madonna Chapel was added in 1947. 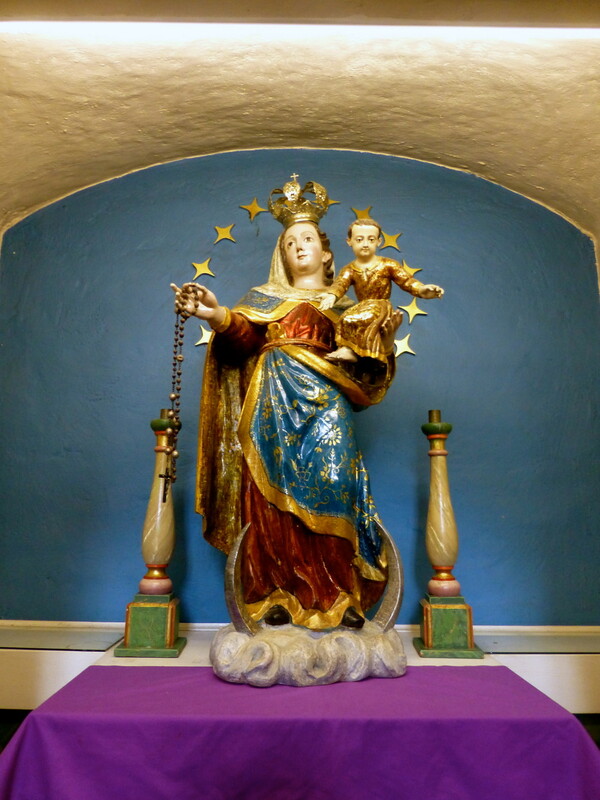 The centerpiece of the Madonna Chapel is a wood carving of The Mother Of Sorrows. 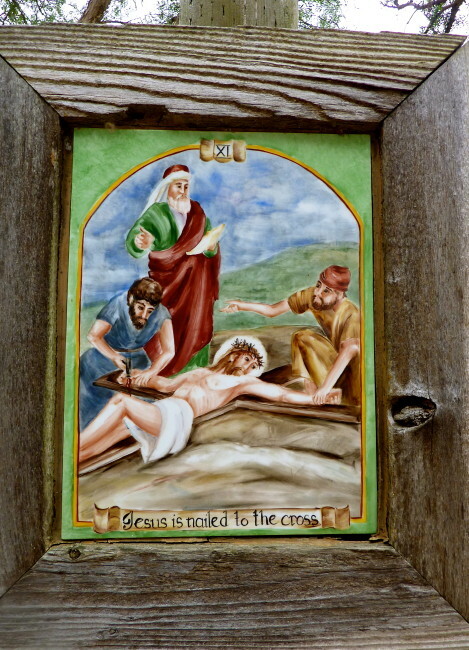 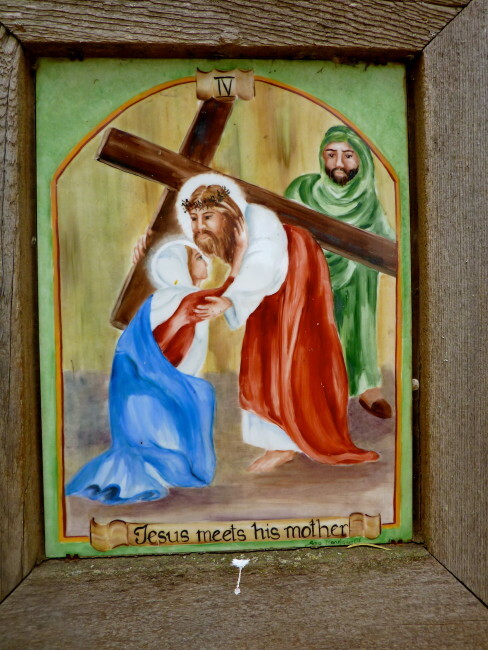 The mission is full of beautiful paintings and other religious artifacts to peruse. 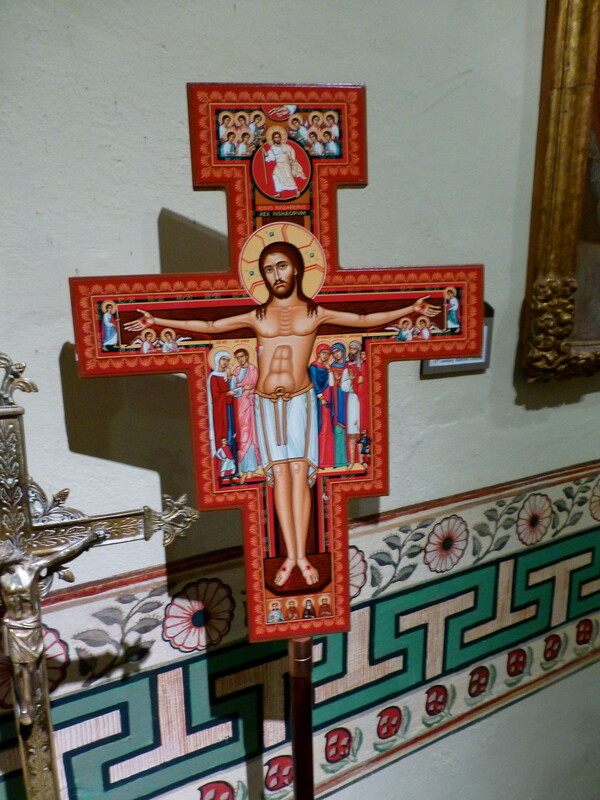 Next, I walked into the church. 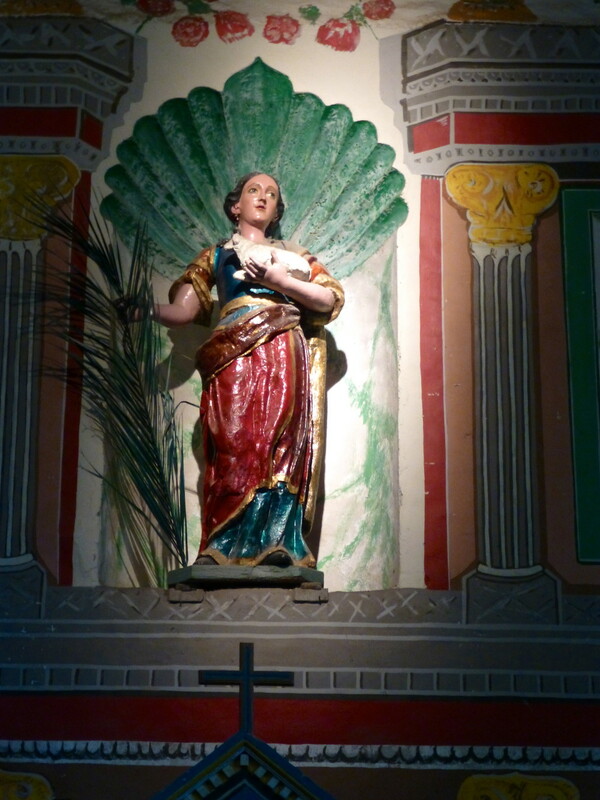 Inside the church is the statue of St. Agnes (above), dating from the 18th Century. It’s located in a niche above the main altar. In another niches is “Our Lady Of The Rosary”, an 18th-century Baroque polychrome wood carving sculpture. 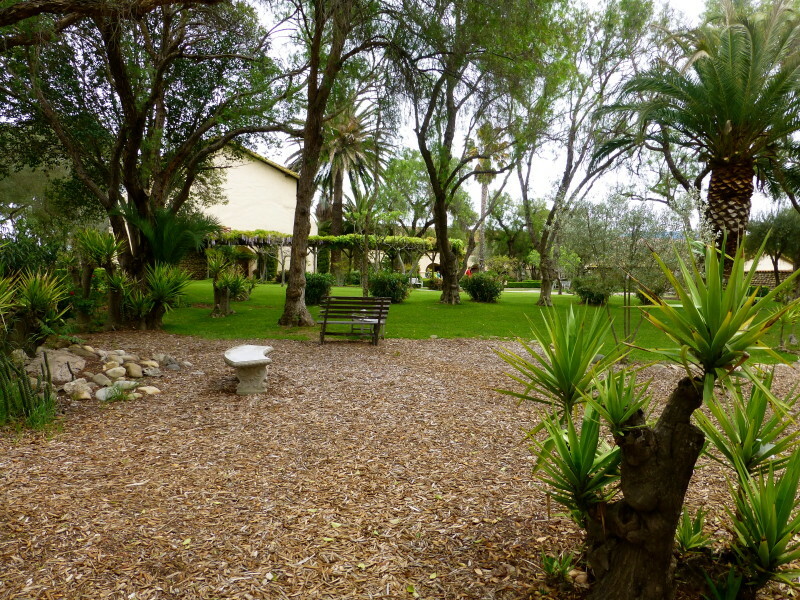 Outside the church, you will enter the gardens, which are only 1/3 the original size, yet still quite lovely and peaceful. 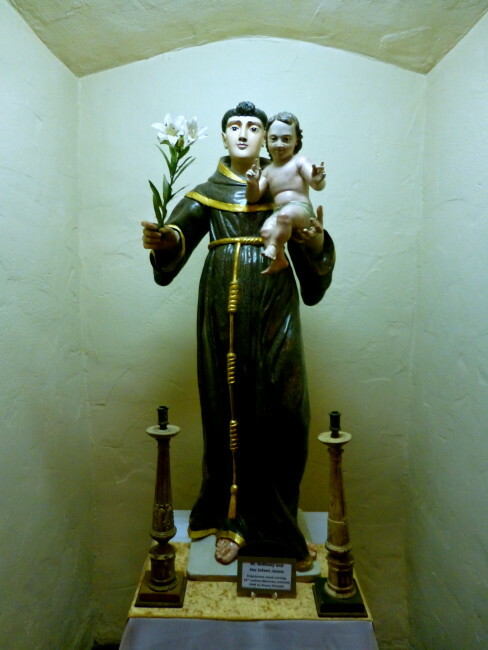 I stopped at a statue of Saint Francis in a garden niche on the way to look at the cemetery. 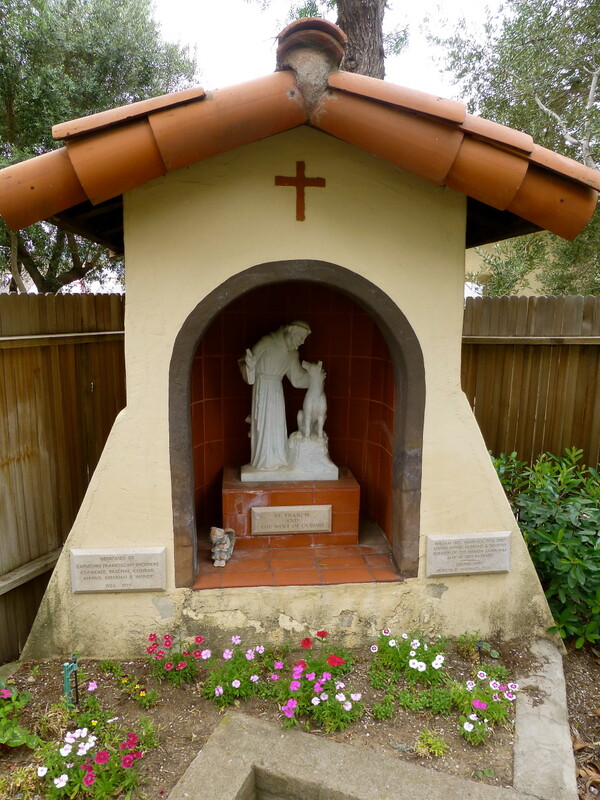 Back in the garden, there are also other statues of interest, including “Our Lady Of Lourdes.” In 1954, Old Mission Santa Inés celebrated its 150th anniversary. 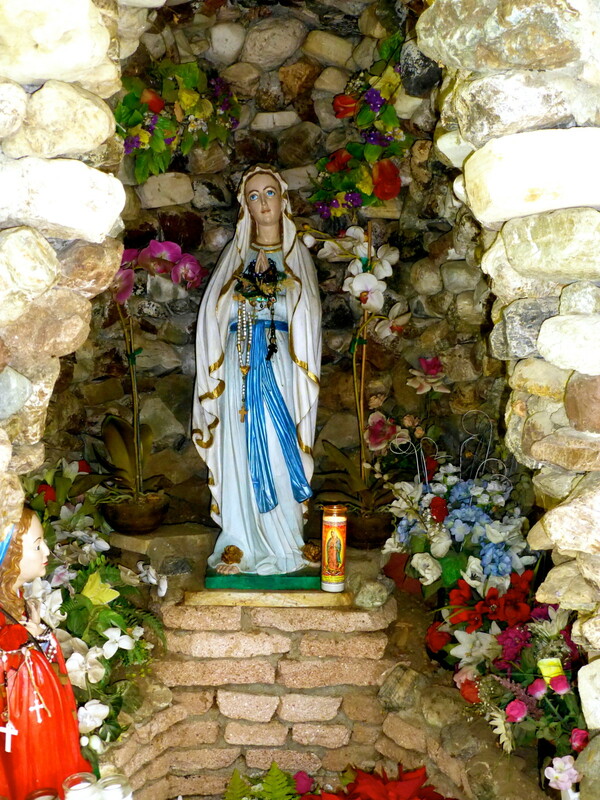 The statue of Our Lady of Lourdes was made in Obergammergau and placed in the shrine next to the cemetery. 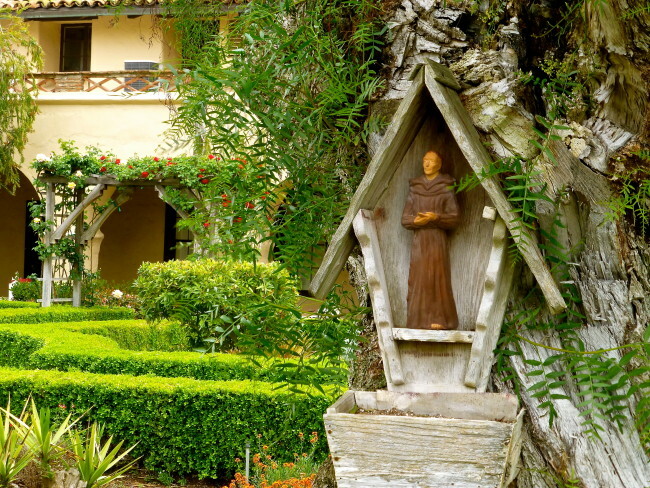 Leaving the garden, one more statue begged to have his picture taken. 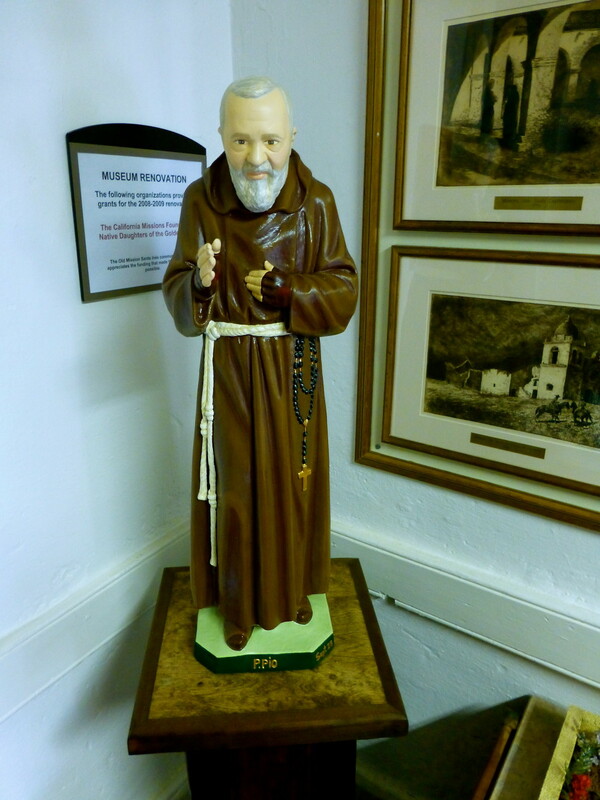 I walked back through an archway to another room that contained even more artifacts and artwork, including Padre Pio. This is all that remains of the original arches that made up the Mission arcade. 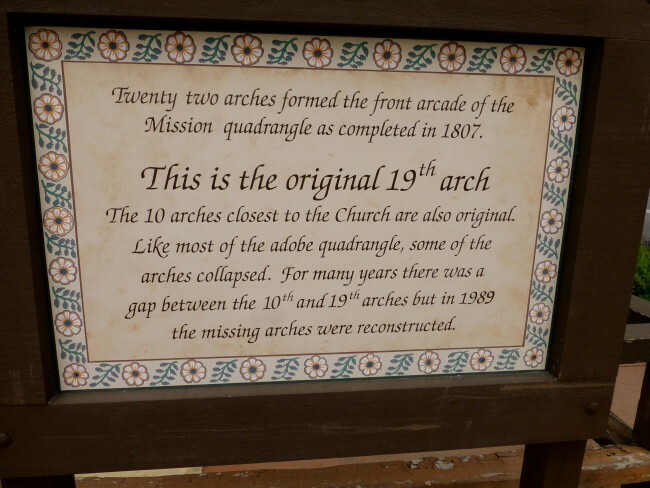 This one is number 19 of the original 22 arches (hence the name). 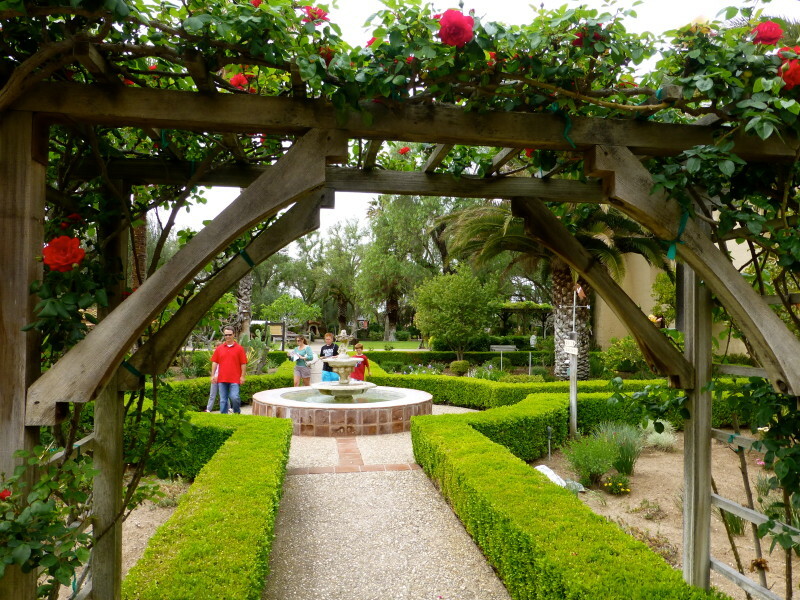 At the end of the parking lot, you will see an archway that leads to a path with artwork. 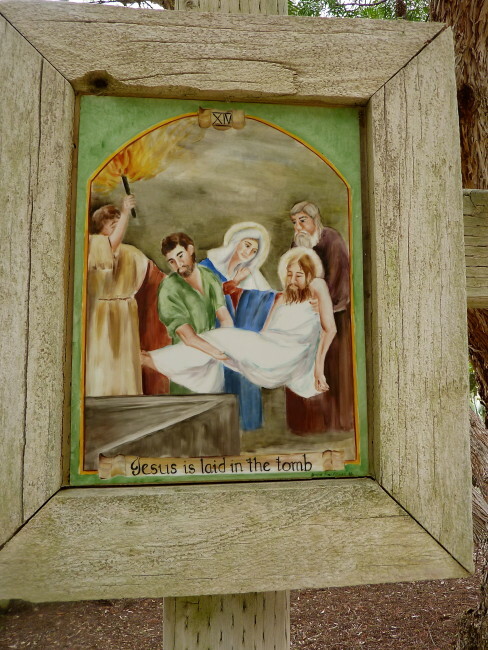 It was all very nicely done. 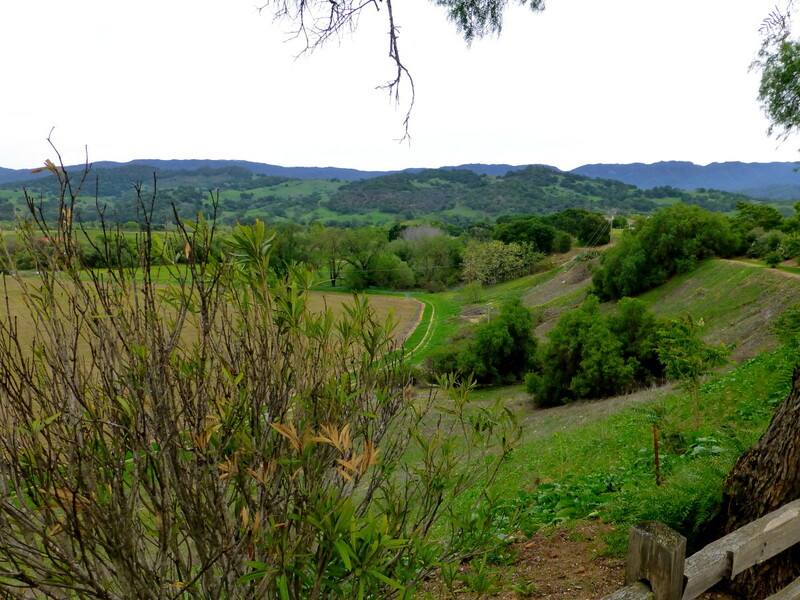 Before leaving I took one more look at the expansive valley below. 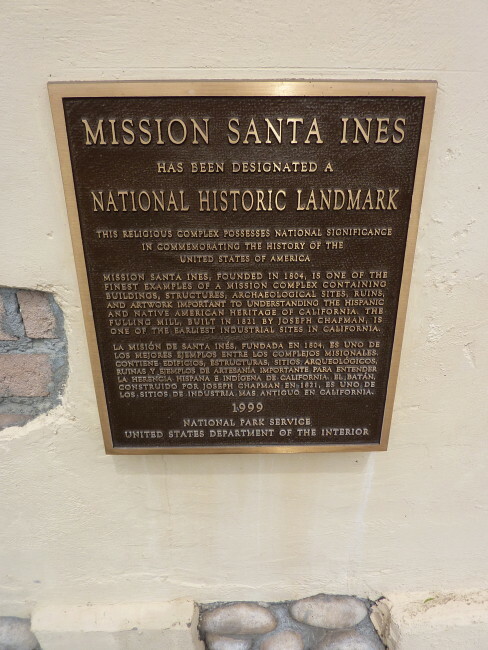 Old Mission Santa Inés turned out be the biggest surprise yet on my mission tour. 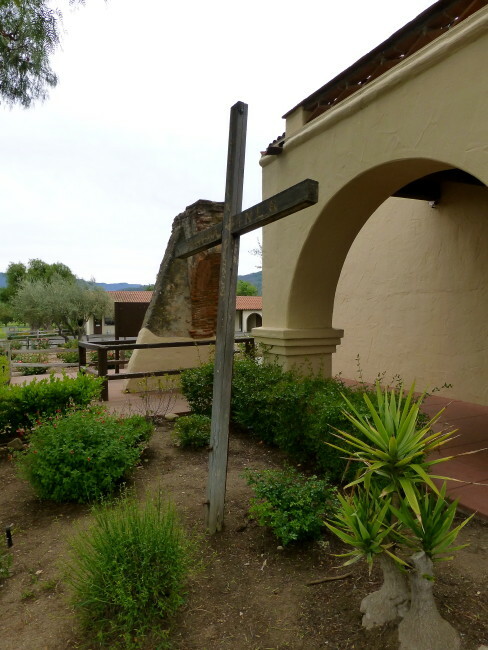 Although so close to the crowded tourist town of Solvang, once at the mission I felt like there was nothing in the area except the solitude that surrounded me. 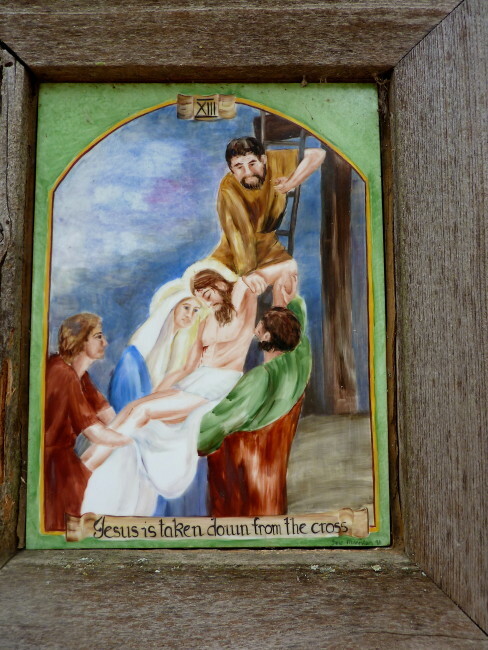 That, and the smell of ebleskivers. 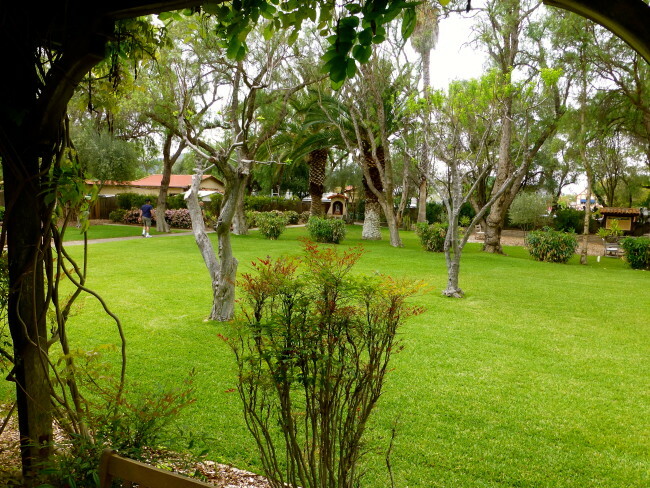 Hours: Daily 9 a.m. – 5:30 p.m.